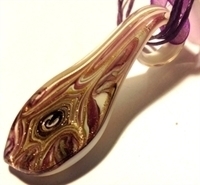 This incredibly unique Murano fused handmade jewelry is leaf shaped. 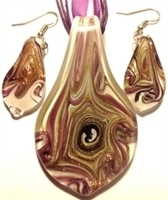 The set consists of a pendant and ear wear. The colors are amalgamated together in a beautiful pattern which gives it a peculiar look. 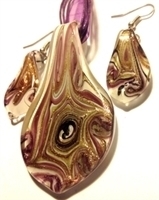 We have years of experience working with authentic jewelry item and promise user satisfaction. 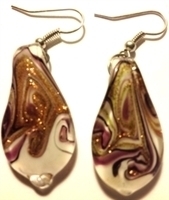 With free shipping over bulk buying, we offer the best deals for quality genuine and synthetic jewelry items. Our prices are extremely economical with a promise of highest quality material and best value for your money.